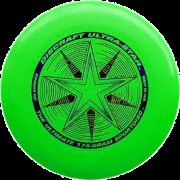 Ultimate is a fun outdoor non-contact team sport that is played with a disc (frisbee). For years this group has been meeting every Wednesday in the summer at Holyrood Elementary, and this meetup group was created as an open invitation for anyone who loves the game or wants to learn the game. Some of us come regularly, others just show up when they can. There is no obligations or commitments - and also no cost! We are very welcoming all new people who want to come try it out. 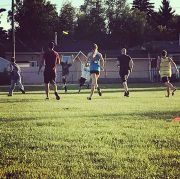 Males and females, young and young-at-heart, beginners and experienced players, pretty much anyone with a focus on fun is welcome. We make random teams, but try to split up the more experienced players evenly. We usually limit the players to 7 or 8 per team, with the rest as subs. When we get over 20 people, we break into two games. We generally don't use any offensive strategies, as we play a fast moving game that doesn't allow players time to setup their positioning. It's very chaotic, and very fun! We usually start the season when the snow has melted and temperatures are at least getting close to double-digits. This varies from year to year of course, but we will send out an email to let everyone know, and a weekly meetup event will be added. Our usual start time in the spring/summer is 7pm, but we warm up for a while and the game doesn't usually get going until at least 7:15, with latecomers getting alternately assigned to each team. We don't keep score for most of the evening, but typically a little after sunset (or after a couple hours) someone will call out "first to 5" at which time the points will count and a winning team will be determined. Afterwards, many of us go out for treats & conversation, usually to the DQ on 75 Street & 76 Ave. The game starts with the one team throwing the disc from their own goal line as hard as they can. The other team catches or picks up the disc and proceeds to pass it down the field, usually toward the defender's end zone. The disc can be passed in any direction, but must completely leave the hands of the thrower before being caught (no hand-offs). The thrower cannot catch his/her own pass, unless it has been touched by another player while in the air. Once making a catch, the player must make a full effort to come to a stop, then choose a pivot foot which will remain in one spot on the ground until the disc is thrown. 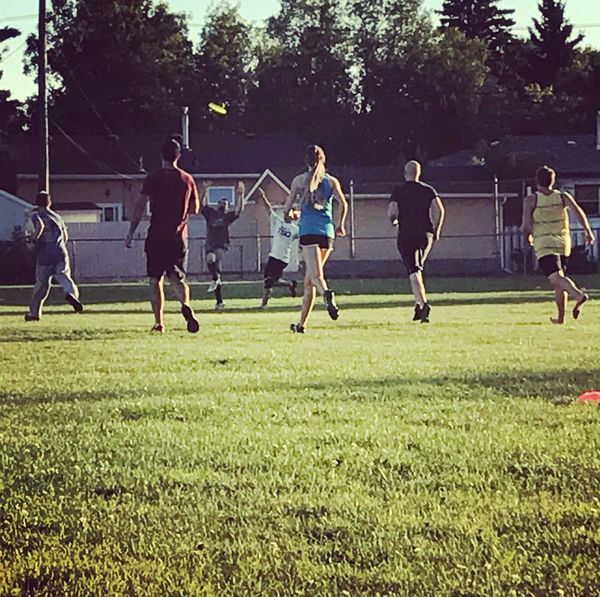 The exception to this rule is that the player is allowed to keep running as long as he/she continues moving at the same speed and direction, and re-throws the disc before 3 steps are taken. Only one defending player, called the marker, can stand within 3 meters of the thrower. Other defenders are only allowed in this radius if they are covering other attackers. The marker may count out loud "stall 1, stall 2 .... stall 10", and if the thrower does not toss the disc after the 10 seconds is up then they lose possession and must hand it to the marker. The marker must keep one disc diameter of space between any part of themselves and the torso or pivot foot of the thrower. The marker cannot touch the disc until it is released, nor the arms or hands of the thrower, and if such contact causes a dropped disc or a bad pass it will result in a re-throw. When a pass is completed inside the defenders' end-zone, the attackers score. The teams switch sides and the scoring team starts play just like at the start of the game. If the disc is caught outside the end-zone but momentum carries the catcher across the goal line, he/she must retreat back to the goal line and make another pass into the end zone in order to score. For all boundary lines including the goal line, you are considered outside the line if any part of your body touches the ground outside the line at the moment the catch is made. If caught while jumping in the air, the player's location is determined by where they first make contact with the ground. If the disc touches the ground, is dropped, knocked down, caught out-of-bounds, or is intercepted, then the other team gains possession. They become the attackers and try to move the disc the other direction. If the disc went out of bounds and did not come back in, the team gaining possession will bring it back to the approximate point on the sideline where it went out (or to the goal line if it went out of the end-zone). If the disc lands or is intercepted inside your own end-zone, it can either be played from where it lands or carried back to the goal-line. The official rules of Ultimate tolerate a certain degree of physical contact when two players are both moving towards the disc. However, this group's focus is on everyone having fun, and therefore we are much more strict about physical contact. Warnings will be issued for any play that endangers another player (sometimes both parties are at fault) and repeat offenders will be asked to sit out or may even be banned if they continue to play dangerously.